Fascia is the body’s connective tissue, it is a head to toe, inside to out, all-encompassing and interwoven system of fibrous connective tissue found throughout the body. Fascia is classified by layer, as superficial fascia, deep fascia, and visceral or parietal fascia, or by its function and anatomical location. It provides a framework that helps support and protects individual muscle groups, organs, and the entire body as a unit. The most interesting aspect of the fascial system is that it is not just a system of separate coverings. It is actually one continuous structure that exists from head to toe without interruption. In this way you can begin to see that each part of the entire body is connected to every other part by the fascia, like the yarn in a sweater. 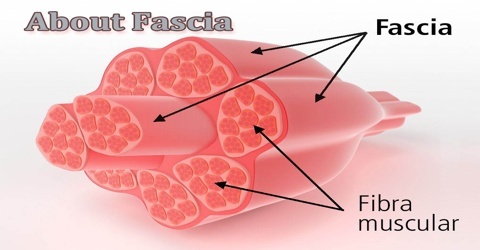 Fascia is consequently flexible and able to resist great unidirectional tension forces until the wavy pattern of fibers has been straightened out by the pulling force. These collagen fibers are produced by fibroblasts located within the fascia. Fascia is internal connective tissue that wraps around organs, providing support and holding parts together. It has the appearance of a very thin spider web, connecting layers of muscle and surrounding all internal body tissues. It runs in strips, inside structures, in “blank space” and around the spine. It is literally one big piece from head to toe, hand to hand, inside to out and everywhere in between. Superficial fascia is the lowermost layer of the skin in nearly all of the regions of the body that blends with the reticular dermis layer. It is present on the face, over the upper portion of the sternocleidomastoid, at the nape of the neck, and overlying the breastbone. It consists mainly of loose areolar and fatty adipose connective tissue and is the layer that primarily determines the shape of a body. Visceral fascia suspends the organs within their cavities and wraps them in layers of connective tissue membranes. Each of the organs is covered in a double layer of fascia; these layers are separated by a thin serous membrane. 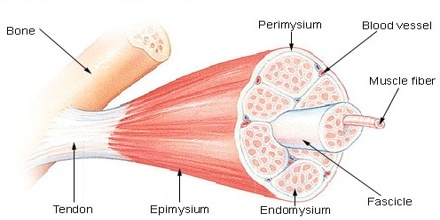 Deep fascia is a layer of dense fibrous connective tissue which surrounds individual muscles, and also divides groups of muscles into fascial compartments. 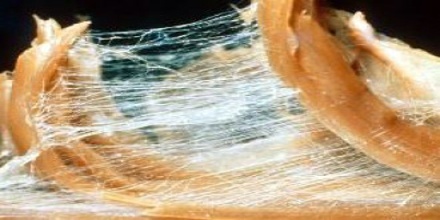 This fascia has a high density of elastin fibre that determines its extensibility or resilience. Fascia plays an important role in the support and function of our bodies, since it surrounds and attaches to all structures. In the normal healthy state, the fascia is relaxed and wavy in configuration. It has the ability to stretch and move without restriction. The changes trauma causes in the fascial system influences comfort and function of our body. Fascial restrictions can exert excessive pressure causing all kinds of symptoms producing pain, headaches or restriction of motion. Fascial restrictions affect our flexibility and stability, and are a determining factor in our ability to withstand stress and perform daily activities.